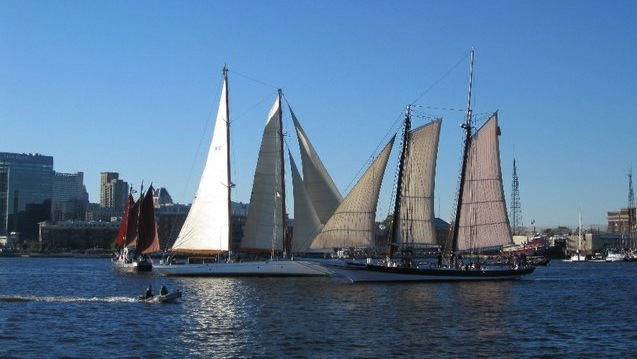 the annual schooner race from Baltimore to Portsmouth, VA. Here are the results. 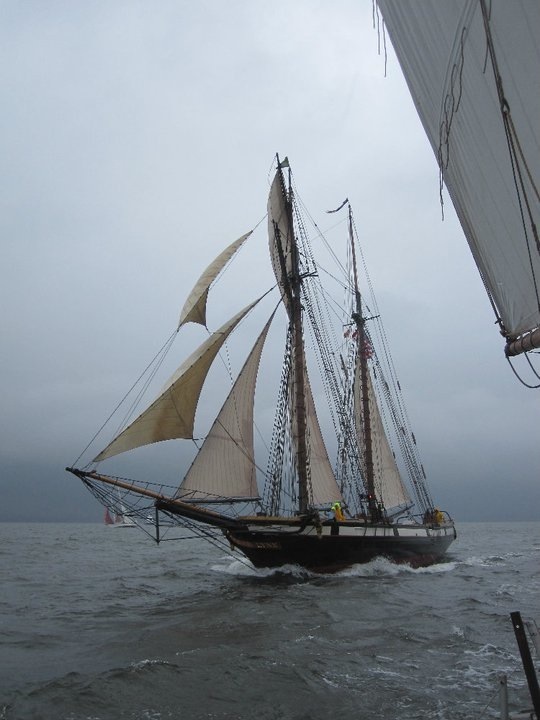 Below, it’s Sultana and Summerwind. 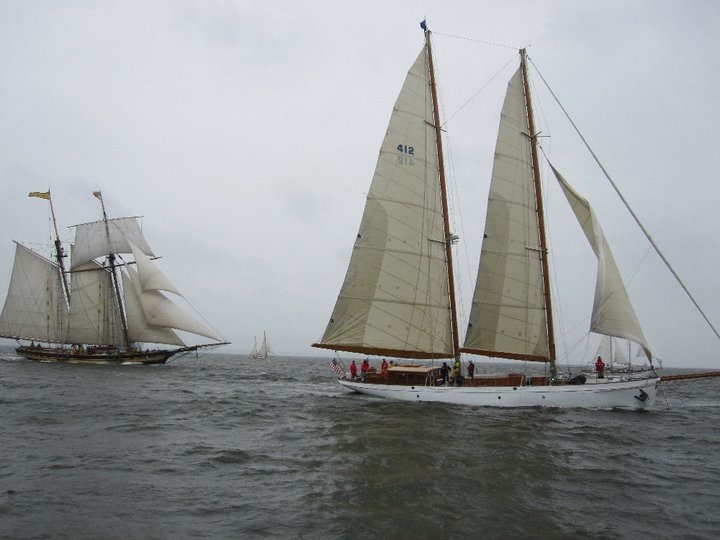 Summerwind, based at the US Merchant Marine Academy in Kings Point, NY, was the Class AA winner. 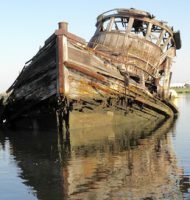 Lady Maryland–yes she is painted pink –finished fourth. 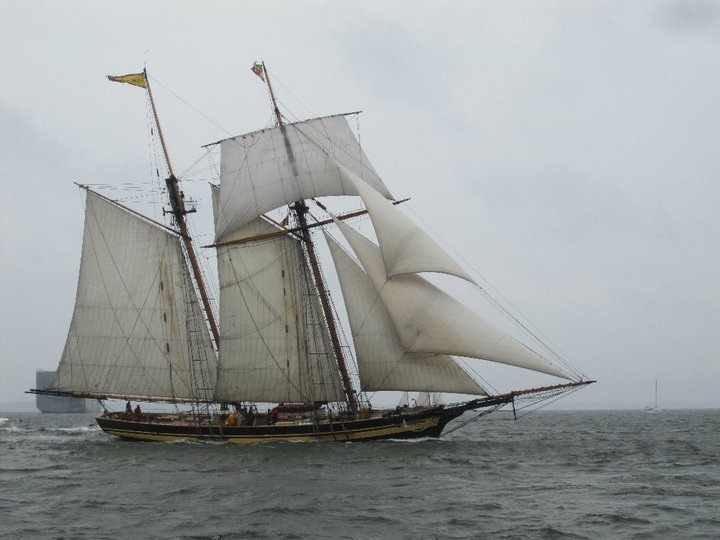 And not to be omitted, with a second place finish, it’s Pride of Baltimore II. 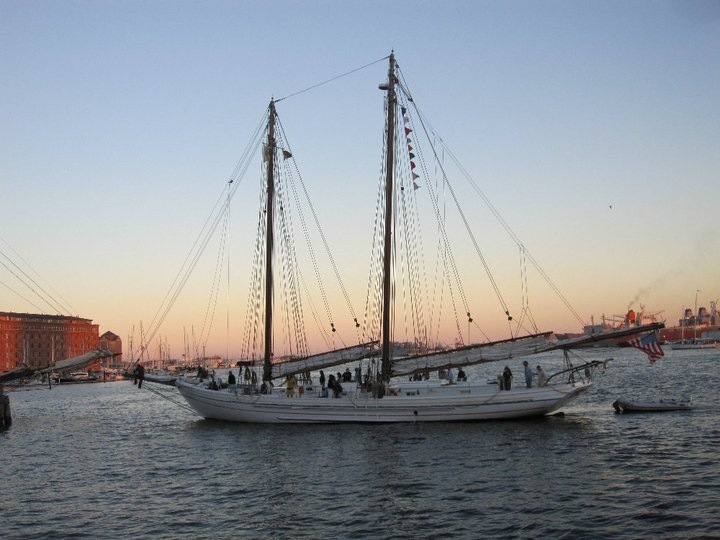 A schooner that would have been happy to race last week–When and If–-did not, since it’s for sale. Who knows . . . some other participants from previous years but NOT on hand in 2010 might also be for sale. Final shot . 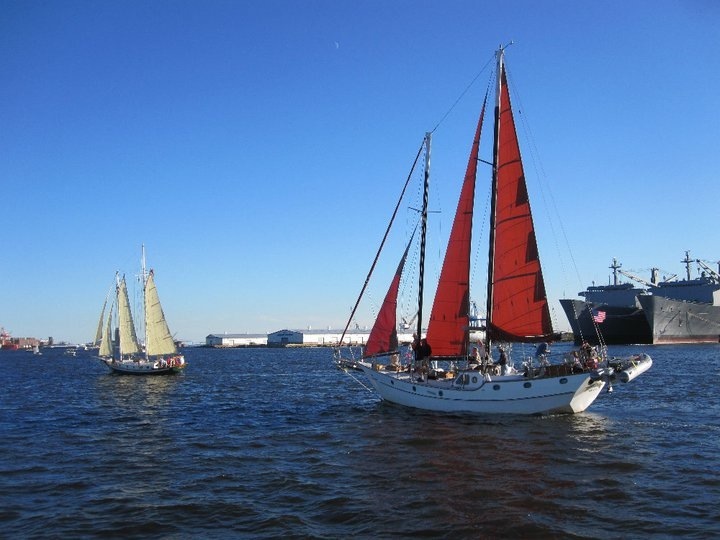 . . left to right: Norfolk Rebel (the world’s only “tugantine”), Summerwind, Lady Maryland, and an unidentifed tug in the background. All fotos by Melanie Lettau. Thanks a bunch! 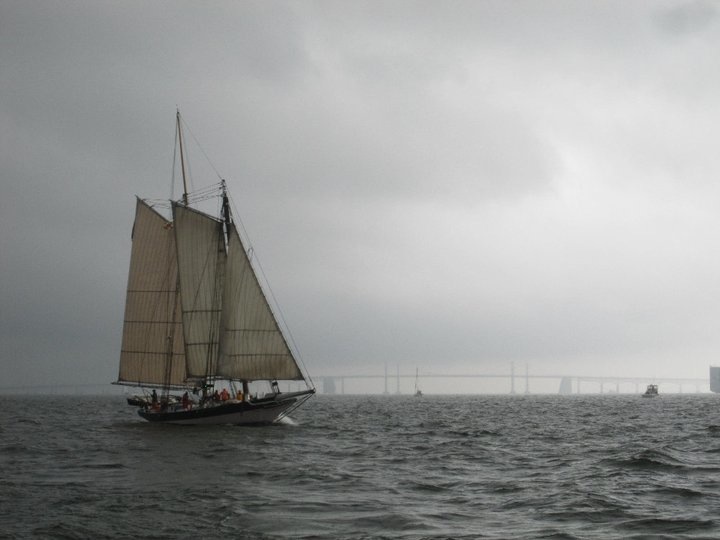 And some sixth boro autumn sailing pics coming soon.